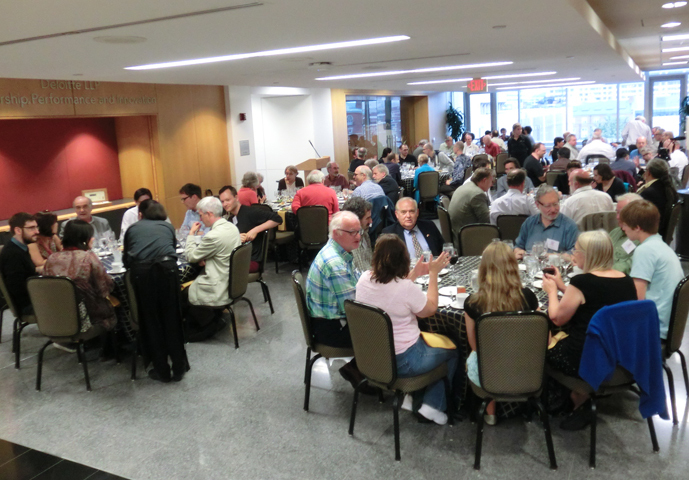 The 2014 ASC conference dinner was held on the evening of 06-Aug-2014, the 50th anniversary of the ASC’s incorporation. Honorary Life Fellow and Wiener Medal winner Mary Catherine Bateson delivered a spectacular conference dinner speech, intruduced by the incoming ASC president Michael Lissack. An audio recording is embedded below. Cybernetics is often thought of as an abstruse intellectual pursuit for egg heads, but many basic concepts of cybernetics were simply woven into the “common sense” I internalized while growing up as the daughter of Margaret Mead and Gregory Bateson, and have in turn become basic to my thinking about how human beings compose their lives. The goal is not more graduate departments but a profound shift in basic patterns of thought, for which graduate school is far too late. 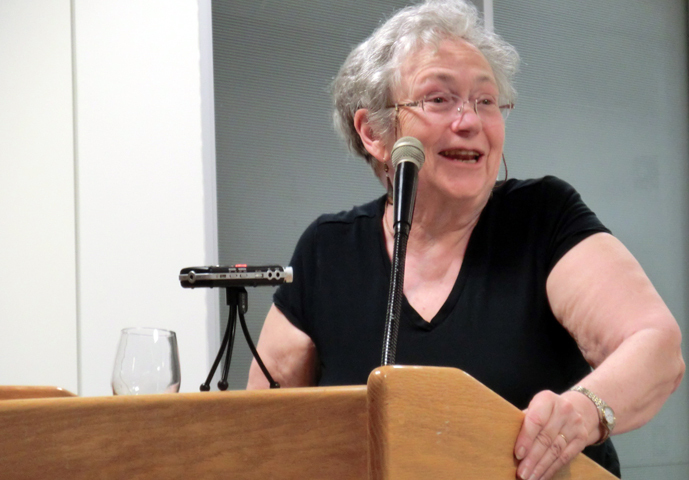 Mary Catherine Bateson is the author of several books including With a Daughter’s Eye: A Memoir of Margaret Mead and Gregory Bateson (1984), Composing a Life (1989), and Composing a Further Life: The Age of Active Wisdom (2010). A former ASC trustee, she is a winner of the society’s Wiener Gold Medal, and an Honorary Life Fellow.